The deal’s not done until it’s done, but by all reasonable outcomes, the UK will leave the EU at 1100 on Friday, 29 March 2019. For business aviation, the regulatory and operational ramifications of that split are huge, yet the subject still remains far from the negotiating table. And that’s a big problem. Giulia Mauri, moderator of the Brexit – the Final Countdown panel at the EBACE show in Geneva last month, opened by asking her colleagues to avoid making the discussion ‘too depressing’. A partner in European law firm Pierstone, responsible for aviation and transport, suggested that her request was in vain. The stark reality is that none of the speakers, no senior aviation leader and not one European government, knows what will happen. Yet it will happen on 29 March 2019, after which a 21-month ‘transition period’ will allow time for the thrashing out of finer details. 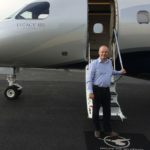 Representing Clyde & Co’s aviation legal team and responsible for the European Business Aviation Association’s Brexit scenarios for business aviation, Mark Bisset delivered a litany of woe. It’s not even on the agenda. A withdrawal and transition agreement must be agreed by October, in order to be ratified by the European parliaments by the exit date. But it will not set out an entire agreement going forwards for aviation, that’ll probably come through subsequent free trade discussions. It means that in October, UK operators will know what the period of transition, from March 2019 to December 2020, looks like. It could be that the status quo continues until the end of transition. But if it doesn’t, operators will have only six months to decide what to do. Bisset explained how UK operators enjoy traffic rights under EU ‘Community air carrier’ status, including ‘freedoms’ to fly intra-European routes. UK-owned operators will likely lose their ‘Community air carrier’ status, along with 7th freedom rights to fly between EU countries and 9th freedom rights within EU nations. On the surface then, Brexit looks like a UK problem, but Community air carrier status is also vital to UK-owned operators based in EU countries. And the traffic rights issue doesn’t end there. The UK currently operates with the US under an EU-US deal. Should its aviation policy devolve entirely away from the EU’s, there would be no traffic agreement in place between the US and UK. Brexit is a global problem, but one much of the world has yet to notice. It was left to British Business and General Aviation Association CEO Marc Bailey to provide a UK-centric view. Agreeing with his peers that bizav is simply too small to have yet found its way onto the negotiating table, he said the most important focus for UK industry is to present a united front – ready to offer expertise and people to the process. On the future of the UK and EASA, he was more forthright. If the UK Civil Aviation Authority were to manage all of the regulatory requirements currently delivered through EASA, Bailey said it would need 700 additional staff. After a decade, it would then be ready to assume EASA’s contribution to the UK, but any discussion on the point is mute, since suitable personnel are just not available.